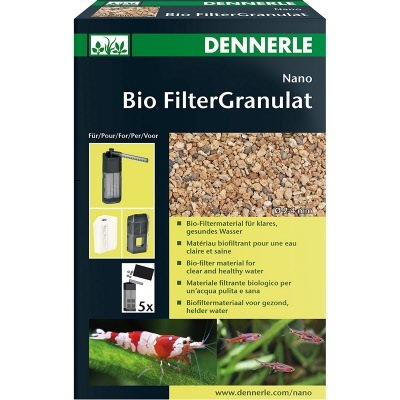 Dennerle granules are highly efficient, biological, long-lasting filter media. Created from superior sintered glass, they provide active toxin elimination. Dennerle granules feature a large colonization surface area for filtering bacteria to populate. This media is ideal for use in the Nano Filter Extension. Recommended use: Replace half of the granules every 3 months. Do not replace all of your media at once, or you will lose too much beneficial bacteria.